If you are not able to keep your hands of that ‘delicious episode’ in your Candy Crush Saga game or focus on your work consistently, well, blame your addictions that have been substantially inflated with King. The story of a small gaming company making high graphic games for Facebook is now one of the top companies of the world. King now invests millions into research and development, getting the billion population addicted across the globe. The gaming company now practically rules every Android, Windows and iPhone with their games leading the charts with more than billion downloads. All this had become possible with a common insight of the company’s young founders into growing stress levels in the world and the ‘need to crush that candy or eat away all the chocolate’. Playing a game made by King now practically charms people of all ages. Getting here was not at all easy. Before King happened, the two founders Melvyn Morris and Riccardo Zacconi tried their hand at many other ventures. Their first website was called uDate.com that was made with another partner Toby Rowland. This site was sold for a whopping $150 million dollars in 2003. 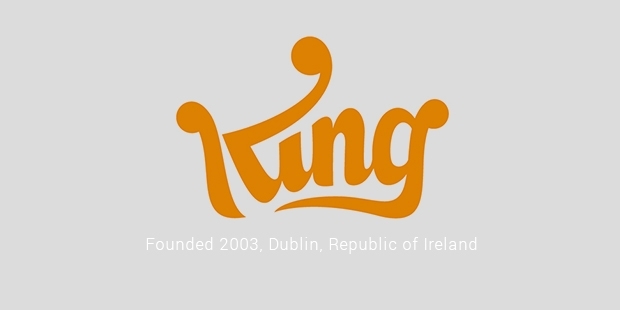 King was founded later, crash landing and going bankrupt in the same year. The company had to raise a total of $43 million after selling a large stake to others such as Apex and Index ventures. King slowly started bouncing back from 2012, with a realigned strategy. Their world famous game Candy Crush Saga, derived commendable attention with about 30 million unique users. The number rocketed to 408 million by the end of 2013. Soon, the company saw a steep rise in sales, seeing a significant revenue of $1.88 billion in 2013. The sales continue to grow, with their impeccable strategy of letting people play the games for free, with a calculation made within the game every time a user wanted to buy something. The success soon saw little obstacles, like in every great business fairy tale. King got into a controversy in 2014 when the founders wanted to trademark the words Candy and Saga in their gaming titles. This led to an opposition coming from Stoic’s trademark The Banner Saga having one of the words in their titles. Also, another developer company Runsome Apps opposed the idea of the word ‘Candy’ getting a trademark, insisting that this would cause confusion with their game Candy Swipe. There were other allegations that followed post the trademark episode. A developer called Matthew Cox alleged that King stole his gaming idea Scamperg host by creating a clone of it. He stated that King was earlier in talks with him to license his game but when things fell apart, the company went ahead and released Pac-Avoid, an exact same replica of his concept. Despite all the ongoing allegations and resistance, King went on to issue its Initial Public Offering (IPO) in March 2014. The valuation of the company is close to $7 billion, issuing $22.50 a share. 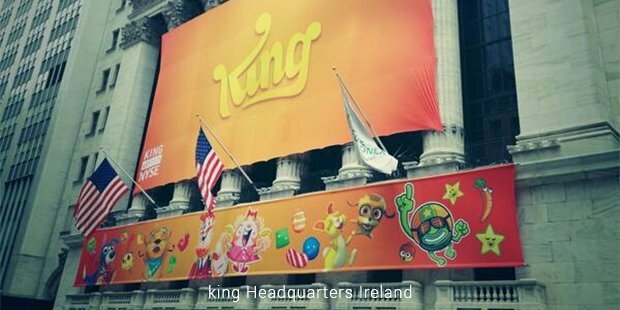 The company celebrated its IPO, as the New York Stock Exchange saw the colourful Candy Crush mascots taking to the dull arena with some sweetness.